When Facebook first released its Timeline layout in late 2011, people had mixed reactions, particularly with regard to its usability. However, several studies have claimed that the Facebook Timeline is a great tool for building a business’ brand as it emphasises more interesting content and is more interactive than previous Facebook layouts. A recent report released by Simple Usability has been able to identify exactly how users have been interacting with the new layout and their consistent usage patterns. Here are some things to consider when managing your business’ Facebook Timeline. 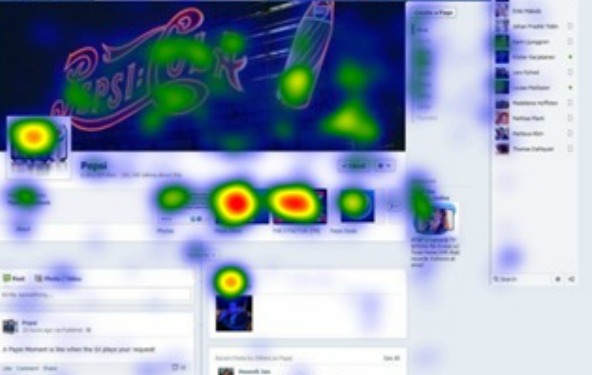 Don’t mistake your Facebook page’s cover image as the most important element on your page. While it’s good to capture the culture and essence of your brand with a standout cover image, this photo will only get the initial attention of your page visitors. Your Timeline page content, tab apps and profile images will be the important factors that keep people on your page. Click into your profile pictures and/or your tab apps. In order to keep people on your page, make sure your most important images are shown in your profile pictures, and that your promotions and competitions are held using tab apps. Quickly scroll down to consume the actual content of your page. 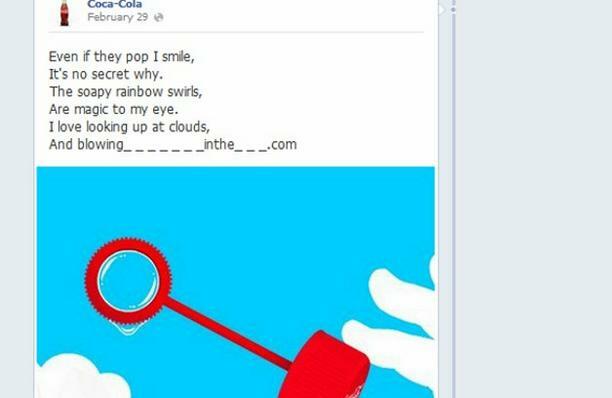 Facebook users are well aware that a cover image is the prime space for businesses to plug their corporate messages so they will often scroll down to read the content instead. This means that you must utilise your pins to instantly display your top content. The option to pin posts means that you are now able to display certain posts prominently towards the top left of your page’s timeline. These pinned posts will be marked with a yellow flag in their top-right corners. In most cases, visitors don’t even realize that these posts are pinned. In order to extend the useful life of your content, pin at least one new post per week. If you read between the lines, you’ll realise that the entire Facebook platform keeps re-organising to better allow people to ‘tell their story’. Timeline helps brands become better storytellers and extends the reach of these stories to prospective customers. So on top of interesting posts and images in your content, make sure you’ve also captured the rich history of your brand. 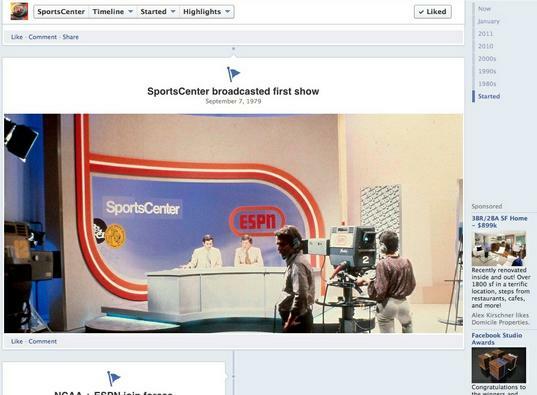 Here, you can see ESPN has highlighted its first Sportscenter broadcast with a double wide photo in its timeline to help tell their story. 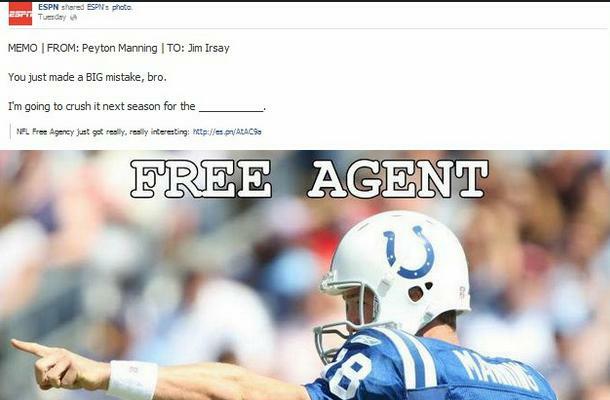 By sharing its milestones, ESPN has humanised its brand and made it more engaging with its Facebook fans. This tactic can also help to stimulate conversations around a brand’s major achievements. 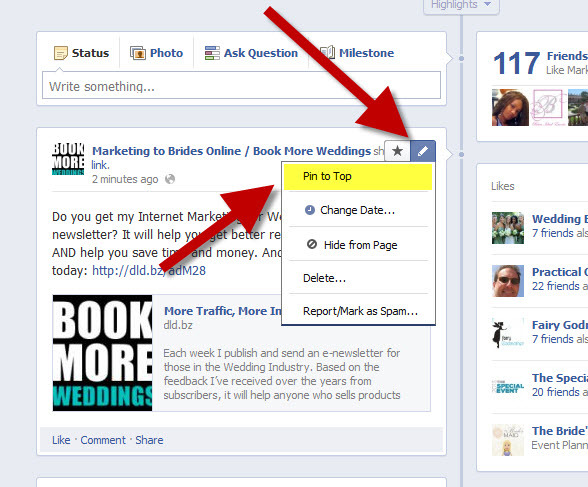 The Facebook timeline provides users with two columns so that they are able to quickly skim through your content. Take advantage of the new layout by using it in new and innovative ways. For example, Fanta took advantage of the Leap Year by pretending that the extra day created a rip in its Fanta Facebook space-time continuum causing four of their Fanta characters to go missing. 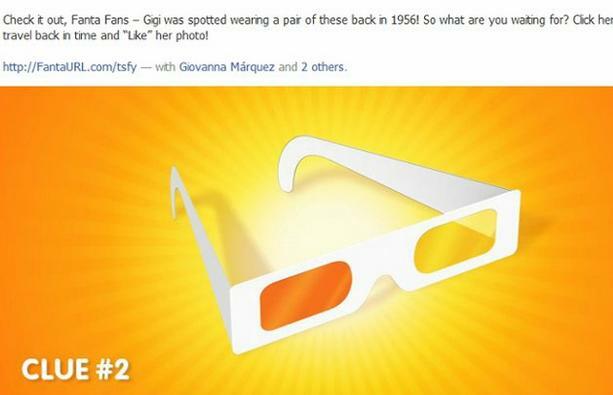 Fans of the page were invited to navigate through the timeline to bring the characters back to future in a ‘Lost in Time’ game. ESPN is also making great use of this “fill in the blank” approach for its current events which usually appears as a pinned post on its Timeline.